What is 2019? It is 2019 years after Christ’s resurrection. Now, we are awaiting Christ’s return. Time is not circular. It’s linear and heading to an end. What is in the past is gone. 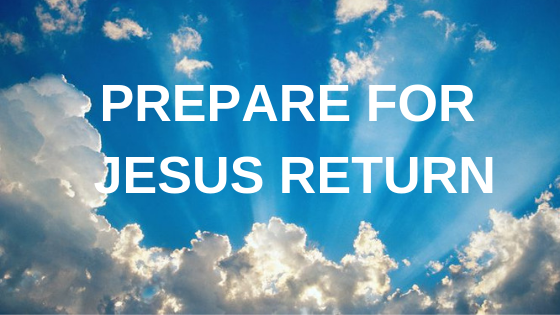 One day, Jesus will return and take those who belong to him to heaven. Those who don’t go to heaven will go to hell. That is the worst thing because there is no turning back. Today, if you fail in something you have hope to pass. But after death, there is no changing anything. In chapter 24 of Matthew, Jesus goes into a discourse on what will happen when he returns. Birth pains are not the arrival of a baby. So rumours of wars, earthquakes etc. are only signs of what is to come. 1. What can we look for with for with surety that we are close? Look at verse 14 – The gospel will be preached to every people group. The gospel is not just for Christians but for everybody. Revelations say – from every tribe, tongue, and nation. Matt 24:36 – “But about that day or hour no one knows, not even the angels in heaven, nor the Son, but only the Father. No one knows that day or the hour when the Son is coming. Don’t listen to anyone who tries to predict. But we know how he will come. If you know a thief will come to your house, you will be alert. Matt 24:42 – “Therefore keep watch, because you do not know on what day your Lord will come. The son of man will come at an hour we do not expect. We need to be ready. In Matt chapter 5, Jesus gives us 3 parables that talk about his coming and how we should be ready. This is what his coming will be like. He gives us some clues. Do you think it important? He tells us 4 times. 10 virgins with lamps were waiting for the bridegroom. 5 of them had extra oil and the other 5 didn’t have. When the bridegroom came 5 were unprepared and had to go to the market. Thus they missed the banquet. The door was shut. The other 5 who were prepared got to go to the banquet. Jesus is coming back. Are you prepared for His return? Have you put your faith in Jesus? Acts 4:12 – Salvation is found in no one else, for there is no other name under heaven given to mankind by which we must be saved. Salvation is found in no other name. Today is the day for salvation. If you have done it, then you need to get baptized. When Jesus returns, he will demand an account of our talents, opportunities that we were given. If we are faithful, much more will be given. The one talent man was scolded for being wicked and lazy. Verse 28 says that there is the same punishment for the person who did nothing. Theologians say that this person is not a believer. At the end of the day, you need to be productive. Thank God for what you have and ask God to help you to do something. Don’t worry. Start small. What are you doing to be productive? Jesus is pressing in his point. He will come back and there will be judgment. Verse 34 says that there are huge rewards in store. Anything we do and bless someone, we do it unto Jesus. Verse 44 says when we don’t serve the least; it’s like not serving Jesus. A follower of Christ will have a desire to do good. As we begin in 2019, we are one year closer to Jesus’s return. You be prepared, productive and perform. To advance the Kingdom, we have to share the gospel. Our tagline is Enjoying God, Making friends, Changing lives. Have a deep relationship with Jesus. Is your relationship deepening? What can I do to deepen it? Take steps to grow. Get YouVersion on your phones. Part of enjoying God is fellowship. We should have a hunger for God’s presence and to be with his people. John talks about loving one another. God’s nature is love and he wants it to be demonstrated here. How do we do it? Make friends in the church is of high value. Have lunch on Sunday afternoon with someone from church. Deepen your relationships. It is a rich, new and rewarding experience. Jesus will only come back when the gospel is preached to all. Will you be a labourer in the Lord’s harvest field? This year, can you tell someone about Jesus? Jesus will touch their hearts. At the IDT, you will learn how to share the gospel. In this 2019, will you think about how you can grow in these 3 areas? You will not change just one life but maybe a whole family and generations to come.